With roots in the 14th century, tossing the garter is one of the oldest wedding traditions. Even back then, the reason was a little racy! Members of the bridal party would enter the room after consummation of a marriage to confirm the couple had spent the evening together. After verifying the act took place, and believing the bride’s garments to bring good luck, they would take a souvenir from the bedchamber, often choosing the garter the bride had worn to hold her stockings up. As time passed, people became more enlightened (and shy about running into someone’s bedroom after their wedding night), and the tradition evolved into an event that took place during the wedding reception. Modern brides celebrate this fun wedding tradition by wearing a beautiful garter, but may or may not toss it during their reception, instead holding on to it as a cherished keepsake. 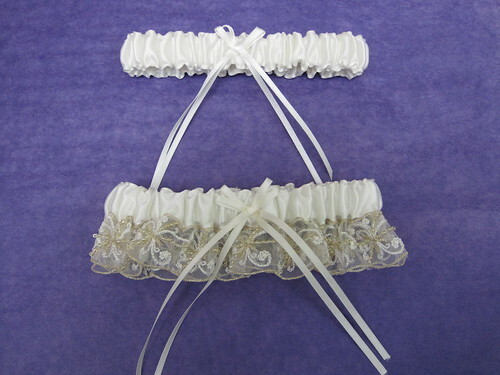 Brides-to-be who want to have their cake and eat it too can choose garters designed just for that purpose, with one pretty garter to keep and pass on and another smaller one used for tossing. 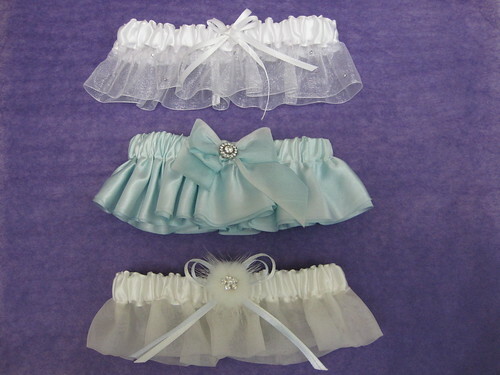 To find the garter that fits your bridal style, visit us at Bridal Styles, our New York bridal accessory boutique! This entry was posted on Tuesday, October 5th, 2010 at 10:19 am	and is filed under Traditions. You can follow any responses to this entry through the RSS 2.0 feed. You can skip to the end and leave a response. Pinging is currently not allowed.